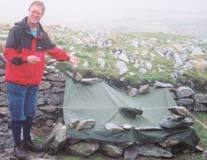 We can provide Bed and Breakfast accommodation for clients at Todholes. 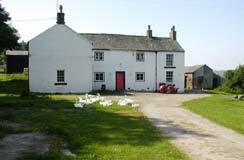 Todholes is an 18th century farmhouse in a quiet rural setting. Set in mixed woodland and farmland away from the roads it is a wildlife haven. We have regular visits from Red squirrels, Roe Deer, Buzzards, Wood peckers, Tree creepers, Spotted flycatchers and lots more. see Carols Birdlist. Todholes is no longer a working farm, but we do keep a few free range geese, ducks and hens. There is a wide range of accommodation in the area from snug B&B's to 4 star hotels. 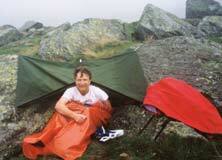 We also use tents, caves and mountain bothies for the more adventurous.